I\" Nano-Titanium Plates glide through your hair smoothly for versatile, beautiful, snag-free styling. 360°Swivel Cord with Salon-length gives you enough freedom to comfortably style at any angle. What you will get when buy SHINE HAI Nano-Titanium Hair Straightener? 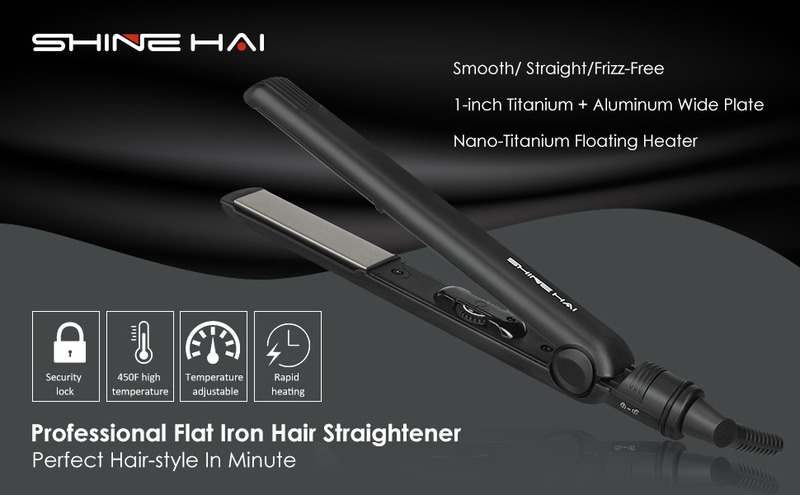 Our SHINE HAI Hair Straightener flat iron is made with the user's love in mind. 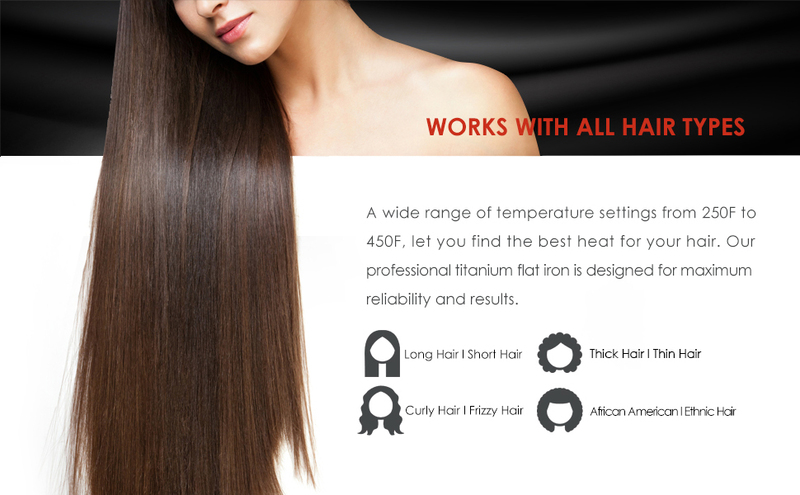 Max 450℉ salon high heat to match versatile hair styling that you like. Nano-Titanium FLAT IRON is better to protect your hair with less fizz but more smooth and shiny. Suitable for slightly wet or dry hair. Keep away from the children, pets and water. Don't touch the heater surface when using it. Keep the cord away from heated sources. Always unplug the straightener immediately and storage well after using.